Once we as women experience a pregnancy, we get a true picture of what it means for our bodies to not be our own. We feel that little life (or lives) moving inside and we realize it is no longer about us. We may feel sick from certain smells that never bothered us before pregnancy, we also may crave certain foods for no apparent reason. We are no longer in charge and often don’t even understand the changes taking place in our own bodies. This is just the beginning. As a mother of young children your body is a living sacrifice. You are no longer your own. You get up in the morning, change diapers, breastfeed, have meals, tend to chores (when able) and meet others’ needs all day long according to their schedule, not your own. A loving mother sacrifices her own wants and needs for her family. I can still remember thinking when our four children were small that I would never feel rested again. I couldn’t imagine getting enough rest. Yet, God convicted me with the truth of the above scripture one day at our home group. The home group leader, Phil, asked us to think about what in our lives were hindrances to worship. The immediate response that came to my mind was “my children”! Then I felt shame. These children were gifts from God! Why did I see them as a hindrance? Because I did not see my service to them as significant in God’s eyes. I thought a “ministry” was more important. Yet, the Lord showed me those children were my ministry at that time. NOTHING was more important. Offering my body as a living sacrifice WAS an act of worship – one very pleasing to our Lord. As we contemplate this Easter weekend the sacrifice that Jesus made on the cross, let us embrace the sacrifices we make as mothers – moment by moment, day by day. Jesus is our example – He laid down His life. As His follower, I must present myself a living sacrifice and recognize it as an act of worship. …. with love and thankfulness for the redemption of Jesus’ resurrection – have a blessed Resurrection Day! 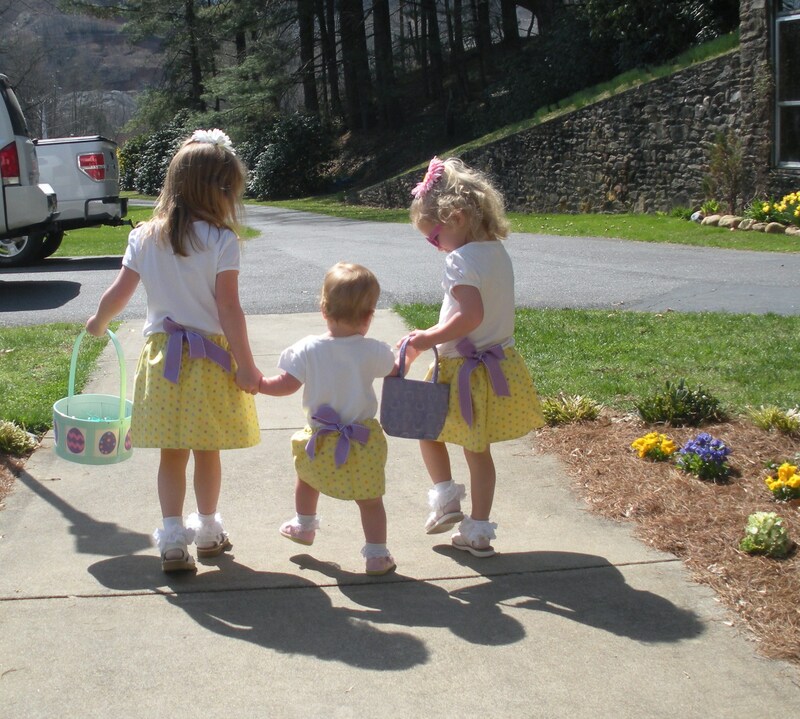 This entry was posted in Being a Daughter, Being a Mom, Grandparenting, Parenting and tagged Christian parenting, Easter, Motherhood, pregnancy. Thank you. I needed that. I have 3, the oldest is 5. I’m so exhausted most of the time. Oh, Grace, how well I remember that time. Our children are grown now and we have 12 grandchildren. God gives us strength and I remember praying many days – “God I need your joy because you say the joy of the Lord is our strength. I don’t have ANY strength left. ” He answered that prayer. God Bless you, Grace, God is faithful. Thank you, Rebeca. It is such important work – years I treasure as I look back. It’s a blessing we can share this.